Miracle man Greg Hancock ended the speedway Grand Prix season with a clean sweep of all seven races to win the Australian GP in Melbourne. 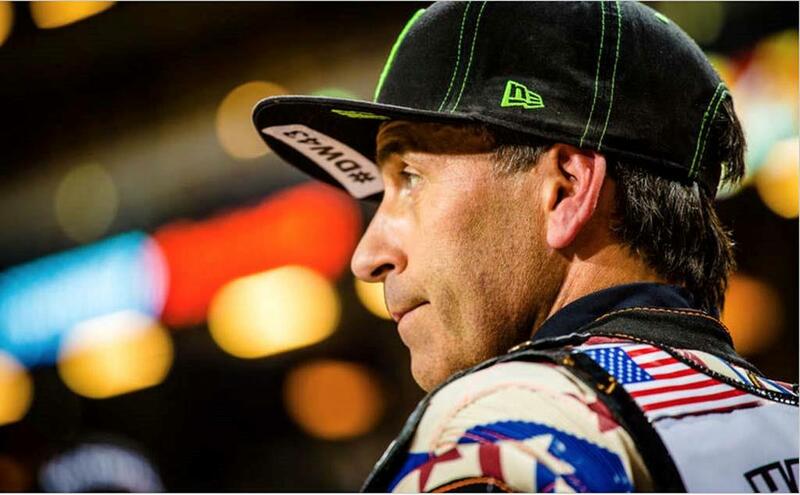 His maximum score of 21 points meant the American, remarkably still sticking it to the world’s best at the age of 45, wrapped up second place in the world championship. Britain’s Tai Woffinden secured the world title at the previous round in Poland and collected the championship trophy for the second time after the Melbourne race. Woffinden, 20 years Hancock’s junior, scored 12 points in the Melbourne qualifying heats but crashed out of his semi-final. Hancock has finished the season strongly, getting back to the form that won him the 2014 world title. He admitted he’d experimented too much with his machinery in the early stages, before settling on a bike set-up that he knew would work for him. Both Hancock and Woffinden said they used the Melbourne race as an opportunity to test new bike set-ups for the 2016 season and both looked as though they had plenty of speed around the fast Melbourne track. The pair finished clear of controversial Dane Nicki Pedersen, who seemed down on power in Australia. In the course of the night, Pedersen rattled Aussie racers Jason Doyle and Sam Masters, with the latter appearing to give one of Pedersen’s mechanics a firm right jab during a confrontation in the pits. Pedersen and Masters both missed out on the semi-finals and Doyle’s night ended painfully after he came off worst in a three-bike crash in the final and was unable to take his place in the restaging of the race. Woffinden will now set his sights on back-to-back titles, having admitted he wasn't properly prepared to defend his first championship win in 2013. "I'm already thinking about next year," he said in Melbourne. "I got the chance to try out some stuff tonight for next season and I'll come back fighting." 1. Tai Woffinden (GBR) 163, 2. Greg Hancock (USA) 147, 3. Nicki Pedersen (DEN) 131, 4. Niels-Kristian Iversen (DEN) 120, 5. Jason Doyle (AUS) 114, 6. Matej Zagar (SLO) 107, 7. Maciej Janowski (POL) 106, 8. Chris Holder (AUS) 95. 9. Peter Kildemand (DEN) 92, 10. Andreas Jonsson (SWE) 88, 11. Michael Jepsen Jensen (DEN) 88, 12. Troy Batchelor (AUS) 59, 13. Chris Harris (GBR) 55*, 14. Tomas H.Jonasson (SWE) 55, Krzysztof Kasprzak (POL) 45, 16. Jaroslaw Hampel (POL) 31. The top eight riders qualify automatically for the 2016 series. * Chris Harris takes a 2016 place after making it through the 2015 qualifying rounds run separately from the Grand Prix series.